This S’mores Oreo Icebox Cake (or S’moreo if you will) is hands down THEE dessert that you need to be making this summer. It’s no bake and has a total of 7 ingredients. With about 10 minutes of prep time and a night in the fridge, you are on your way to a decadent no bake dessert that is bound to be the hit of all of your summer BBQs. It’s been pretty hot here in Seattle, by PNW standards anyway. And if all the Facebook posts of my friends living in Arizona is any indication, other parts of the country are downright miserable. I know that when it’s that hot cooking is the last thing on anyone’s mind but sweets usually still are. That is when no bake desserts come in handy. No bake desserts like this S’mores Oreo Icebox Cake. I have made a few icebox cakes before. It is actually one of my favorite summer time desserts to make (along with this epic dessert). And now I’ve decided to create one an icebox cake that incorporates another one of my favorite summer desserts: S’mores. I introduce to you the S’mores Oreo Icebox Cake. In addition to the S’mores Oreos, I wanted to add even more s’mores flare. To do that I added some mini-marshmallows, chopped dark chocolate, crumbled graham crackers and dark chocolate syrup on top. It really brought the whole “S’more” aspect of the dessert together. 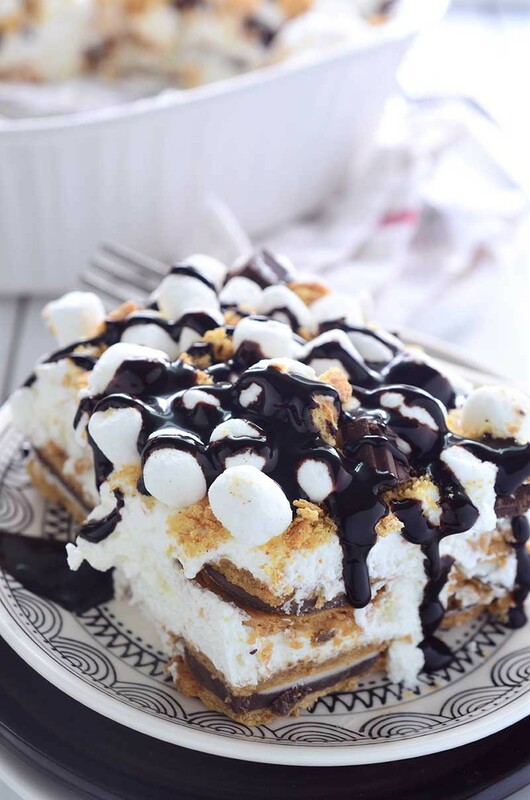 If you happen to have a kitchen blowtorch (which I don’t) I think using that to toast the top of the marshmallows would take this S’mores Oreo Icebox Cake to the next level. Line an 8 x 8 dish with S'more Oreo Cookies. Break cookies if needed to ensure the bottom is covered. Spoon half of whipped cream over the top. Layer remaining cookies on top. Spread remaining half of whipped cream over the the top. Cover and refrigerate for at least 8 hours if you want the cookies to still have some crunch. 24 if you want the cookies soft and cake like. 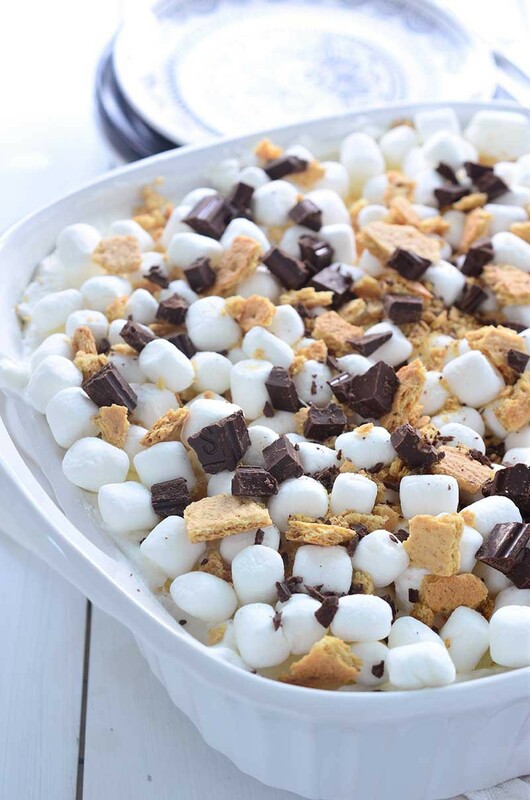 Remove from refrigerator top with mini marshmallows, graham cracker crumbs and dark chocolate pieces. Slice and drizzle with chocolate syrup. Serve. Drooling over this gorgeous cake! I’d love a big piece of this cake right now! So many favorite flavors in one, and so simple, score! 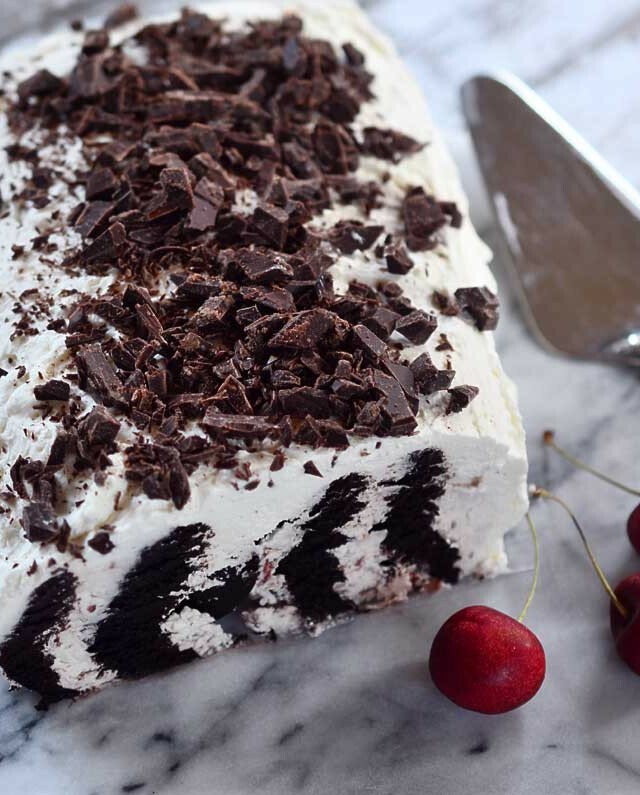 I always thought an ice box cake was an ice cream cake! This is even better! Plus, who can really say no to Oreos?! 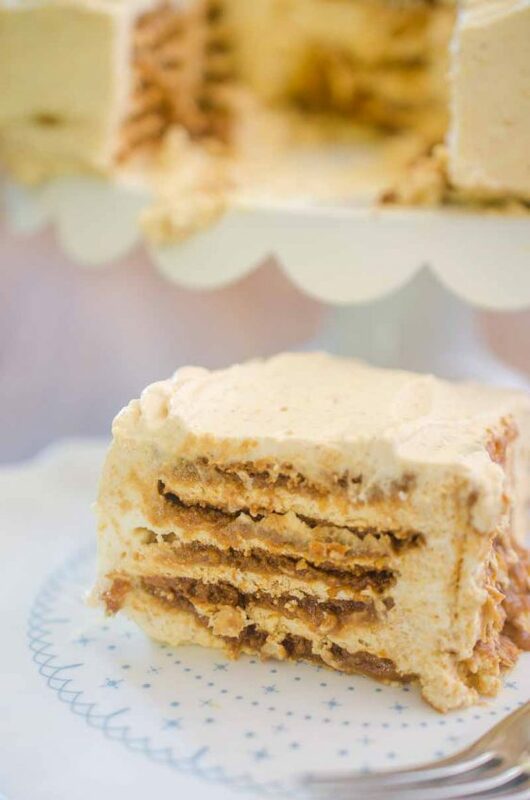 I have a s’mores ice box cake post really similar to this one that I’m planning on sharing soon! Your photography is amazing and I could definitely go for a big piece of it right now! Love this! Such a perfect easy dessert for Summer!